Sleeps 4, 2 bedroom, 1 bathroom, w/d, 250 steps to the beach. 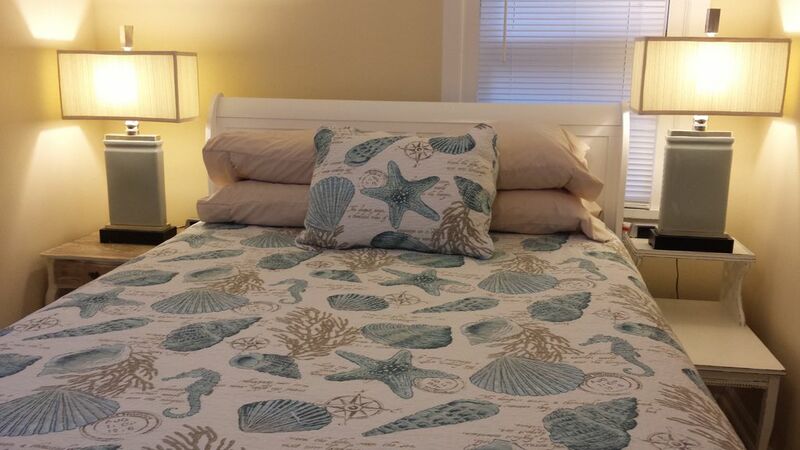 Bed sheets, pillow cases, blankets for both bedrooms and sleeper sofa. 10 pillows (4 per br plus 2 extra) Additional throw blankets. Open concept dining/living area. Table with 4 chairs. Additional chairs expand seating to 6 around table. Tray tables for additional dining. Xfinity with Streampix and Netflix, and On Demand free movies. Pay movies available upon request. Minimum stay for weekends is 2 nights, holiday weekends is 3 nights. Reduced cleaning fee $50 for stays of 3 nights or less. $50 fee per pet - max 2 pets.